Sporty design meets reliable caliber technology in the TAG Heuer Carrera Calibre 16 watches. These timepieces are powered by a modified Valjoux 7750, one of the most successful automatic chronograph movements ever developed. The TAG Heuer Carrera Calibre 16 is classic in more ways than one. 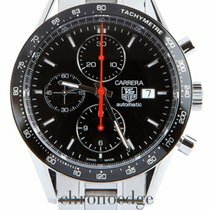 On one hand, it follows in the tradition of the Carrera, the legendary chronograph from the 1960s. On the other, it's powered by one of the most famous automatic chronograph movements in the history of watchmaking, the Valjoux 7750 from ébauche manufacturer ETA. Diverse luxury watch manufacturers, such as the Rolex subsidiary brand Tudor, use this caliber in their watches. A chronograph features a stopwatch function for timing. The Calibre 16 can measure time to 1/8ths of seconds and up to 12 hours. The day/date display on many models shows the current day of the week and date. A sporty-elegant design makes this watch the perfect companion in many situations, whether on the race track on the weekend or at the office during the week. The TAG Heuer Carrera Calibre 16 is the perfect watch for you if you're looking for an automatic chronograph with a few extra functions. Models powered by Calibre 16 often feature a day/date display in addition to their chronograph function. The movement is based on the Valjoux 7750, one of the most successful automatic chronographs ever developed. The watch's sporty-elegant design suits almost any occasion. With sizes ranging between 41 and 44 mm, the watches are fit for smaller as well as larger wrists. Prices for pre-owned models begin around 1,500 euros. New, they cost around 2,000 euros. 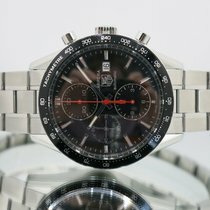 A comparable watch from Tissot is the PRS 516. 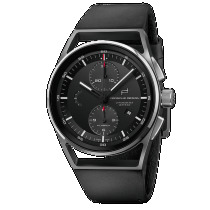 The Valjoux 7750 powers the automatic chronograph version of the PRS 516. It costs a little over 1,000 euros. 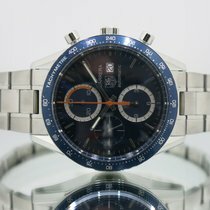 TAG Heuer uses the Calibre 16 in many different collections, including for the chronographs in the Aquaracer and Link series. The movement is based on the Valjoux 7750, which has been powering wristwatch chronographs since the early 1970s. Calibre 16 has a diameter of about 30 mm and a thickness of 7.9 mm. Due to its size, watches powered by it are often larger than 40 mm. The balance wheel, the heart of the movement, vibrates at a frequency of 28,800 A/h, equivalent to 4 Hz. This high frequency allows the wearer to time 1/8ths of seconds. In addition to the central chronograph second hand, there are three subdials: the small seconds at nine o'clock, the 30-minute counter at twelve o'clock, and the 12-hour counter at six o'clock. The day/date display is located at three o'clock. On the Heritage Calibre 16 models, the date window is at six o'clock. The push-piece at two o'clock controls the starting and stopping of the chronograph. To reset it, you need to first stop the chronograph, then press the push-piece at four o'clock, which resets it to zero. A rotor ensures that the chronograph is wound and has power; without winding, the power reserve lasts for around 42 hours. The design of the Carrera Calibre 16 is predominantly sporty. 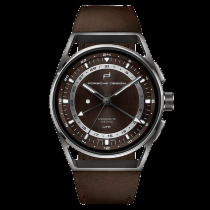 A stainless steel case and bracelet together with a black or brown dial, tachymetric scale on the bezel, and red color accents emphasize this watch's dynamic look. The silver-bordered subdials at twelve and six o'clock pop out from the dial, immediately catching the eye. This feature has served as a hallmark of the Carrera collection for years. The case is available in three different sizes: 41, 43, and 44 mm. Rubber straps with a tread pattern offer a hint to the origin of these timepieces: race car driving. 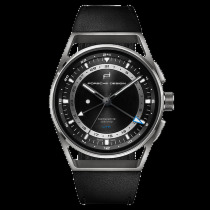 Some models have a black-coated titanium case, giving them an even sportier look. Titanium is about 40% lighter than stainless steel, yet is extremely hard and robust. The bezel on these models is made of scratch-resistant ceramic. Red stitching on the black leather strap creates a stark contrast together with red lettering and tips on the hands. The Heritage models powered by Calibre 16 underscore the Carrera's origins. Light dials with blue or rose gold hands and matching Arabic numerals distinguish the design of these wristwatches. The small seconds is not located on a traditional subdial; instead, it's incorporated completely into the dial, only noticeable by its four markings at twelve, three, six, and nine o'clock and its small hand. The subdials' simple, yet elegant hands, as well as the chronograph second hand, emphasize the vintage look together with the alligator leather strap in black, brown, or blue. The small stick indices on the subdials and the second markers on the edge of the dial also lend to this classic and refined look. The bezel on this 41-mm watch is also polished. 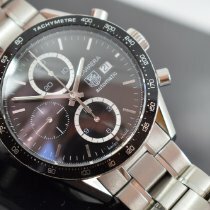 Another Swiss manufacturer, Tissot, offers a good alternative to TAG Heuer's Carrera Calibre 16: the PRS 516. This timepiece is also powered by the Valjoux 7750. Therefore, their calibers share many characteristics. Their designs are also similar: Like the Carrera, the PRS 516 was inspired by racing and has roots tracing back to the 1960s. Its distinguishing features are its perforated bands made from either leather or stainless steel, an homage to the racing sport. Another hallmark is its black bezel with a tachymetric scale featuring the large, striking "60" above twelve o'clock. 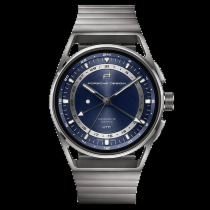 The 45-mm version has a stainless steel case. Most models have black dials, though silver is also an option for some watches. Like the Carrera Calibre 16, some models feature silver-bordered subdials at twelve and six o'clock. 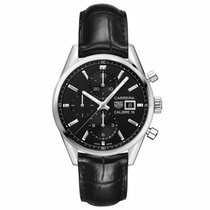 Lastly, the watch has a characteristic Tissot feature: a T-shaped central second hand, which serves as the chronograph second hand on chronograph models. Tissot uses classic line indices as hour markers, and sapphire glass provides a clear view of the dial on the front and the movement on the back of the watch.